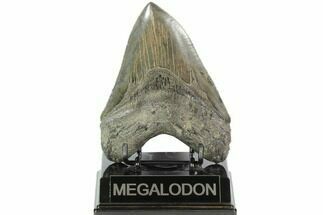 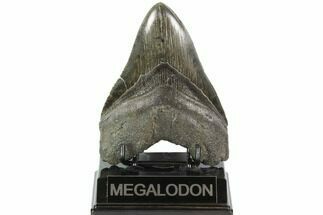 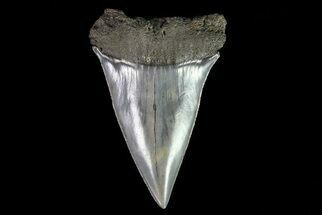 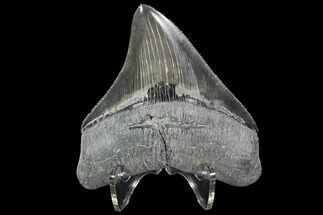 This is a half of a large fossil Megalodon tooth collected from the Hawthorn Formation in Georgia. 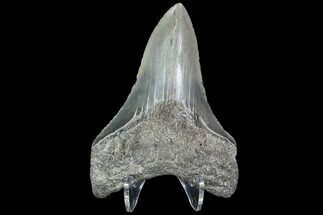 Very often teeth are found broken down the middle and are much more common than finding complete unbroken teeth. 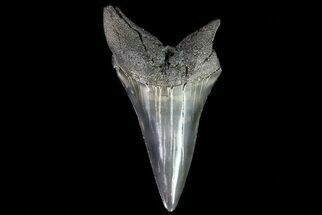 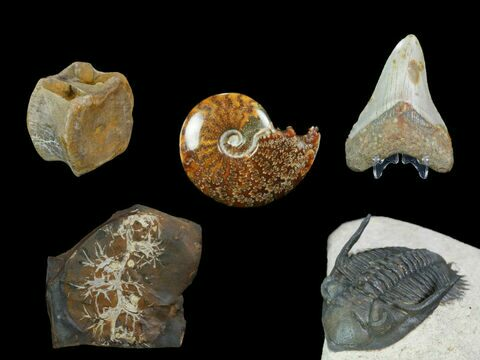 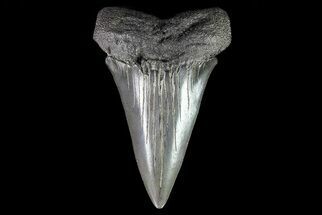 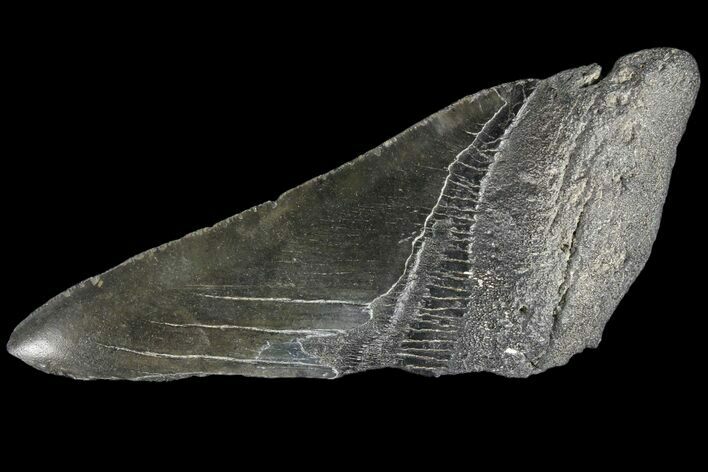 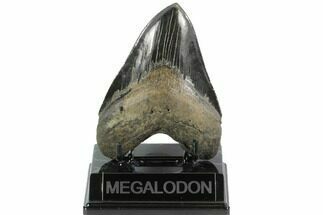 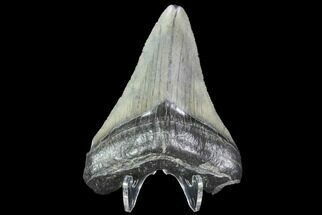 Given the size of this tooth, it would have come from a prehistoric, mega-shark in the 40 foot size range.